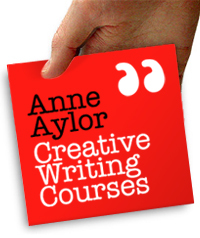 Anne Aylor is a professional writer and teacher. She has had short stories and poems published by the Arts Council of Great Britain, The Literary Review, London Magazine, Fiction Magazine, Stand Magazine and broadcast on BBC Radios 3 and 4. In 2008 her short story, "The Speed of Dark", was shortlisted for the Bridport Prize, the biggest open creative writing competition in the English language. One of her stories was shortlisted for the 2011 Fish Short Story Prize. Anne received the Historical Novel Society International Short Story Award 2014. Her winning story, “The House of Wild Beasts", was adapted from a novel-in-progress about the Spanish Civil War. In 2015 she was longlisted for the Fish Short Story Prize. In 2016 her short story "Feeding Time" won the Unbound Short Story Prize. 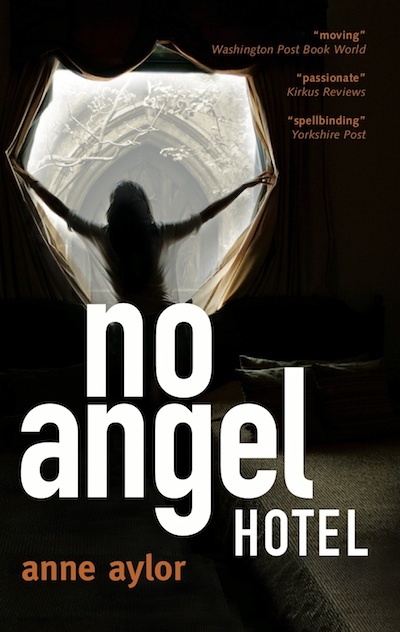 No Angel Hotel, her first novel, was published in the UK by HarperCollins and Grafton Book and by St Martin’s Press, New York (US title: Angel Hotel). For an archive review of Angel Hotel in the Pittsburgh Press, click here. She has completed her second novel, The Double Happiness Company, which was published in 2011 by BareBone Books. She is curently working on her third and fourth novels (working titles: The Speed of Dark and The Witness from Salamanca). She has won or been a runner-up in a number of competitions, including the BBC Radio 3 Short Story Competition, Stand Magazine Short Story Competition, the Dixon Ward Short Story Competition and the 2005 Good Houskeeping Short Story Competition, judges: Alexander McCall Smith, Julie Meyerson, Lindsay Nicholson, Ali Gunn (Curtis Brown) and Kate Elton (Editor-in-Chief, Random House). In 2008 her short story, "The Speed of Dark", was shortlisted for the Bridport Prize. Her stage play, Children of the Dust, won the 1987 International Playwriting Festival competition and was co-produced by the Soho Theatre and the Theatre Warehouse, Croydon. Her short play, The M & M Café was commissioned and published by the Oxford University Press. Her stage play, Happiness Is North of Here, had a rehearsed reading at the Gate Theatre, London. The Trainer, a play by David Wilson and Anne Aylor, had a rehearsed reading at Oxford House in March 2009 with Tim Pigott-Smith. It was later performed in Two Plays for Gaza at the Hackney Empire, London, in May 2009 along with Caryl Churchill's Seven Jewish Children. This bridge-building evening for peace in the Middle East was a benefit in aid of the Gaza Music School and starred Corin Redgrave, Roger Lloyd Pack, Jana Zeineddine and Paul Herzberg. For Guy Smallman's slideshow of The Trainer, click here. Anne was a shortlist judge in the 2007 Wimbledon Book Fest (Sandi Toksvig Writing Challenge) and has given teleseminars and weekend courses at Alternatives, St James Church, Piccadilly. in 2010 she was asked to lead a writing masterclass at the Redbridge Book and Media Festival. She taught playwriting at the City Lit, London, and has taught at Morley College for over twenty years. She loves to write because it doesn’t involve high maths or high heels. WHAT PEOPLE SAY ABOUT ANNE'S LATEST BOOK . . .
‘Anne Aylor’s Angel Hotel was published in Great Britain as No Angel Hotel. Make of that what you will, but the first novel is a finely crafted and very moving exploration of the youthful pain and the lasting passion of love. Several of Anne's stories have been read on BBC Radio. Click on these embedded players to hear them. BBC Radio 3 broadcast of a short story taken from her second novel, The Double Happiness Company. The genesis of this story is the topic of a Jan 2015 blog post. To read a PDF of the story, click here. Chapter 1 of The Double Happiness Company. A daughter's long-awaited Christmas homecoming to New Mexico stirs up an estranged family who don't know how to express their love. The story of how a bigoted old hunter and a doctoral student in anthropology manage to find common ground. A down-trodden London secretary finally asserts herself with the boss who has bullied her. An old Ziegfeld Follies girl returns to the haunted abandoned theatre in New York City where she performed in the Roaring Twenties to reflect on her life.